The Forbury Place development began in 2014 as the largest speculative office development in the UK outside of London, and is now considered to be Reading’s newest urban business district. The estate offers 600,000 sq.ft. of prime office space across 3 office buildings in the heart of Reading’s city centre. No1 Forbury Place is home to global company SSE, and has deservedly been recognised for architectural excellence thanks to its distinctive exterior façade. Project specific design and application of a floor to floor spanning rainscreen support system. Bespoke designed and fabricated 3D peel effect aluminium panels. 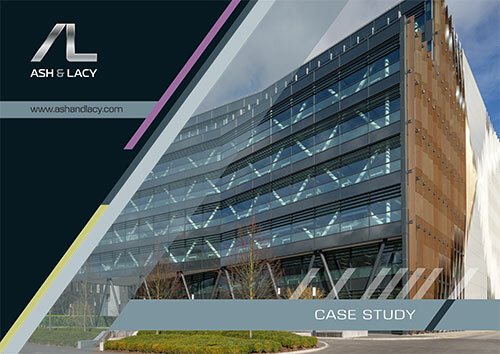 Continuity of façade finish, from rainscreen panels across to brise-soleil and curtain walling systems. The specification and engineering of the S150 VariAL H box mullion allowed floor to floor spanning, fixed at slab levels, to prevent point loading of the rainscreen system back to the SFS. Trial panels were manufactured in-house prior to supply on site to ensure architectural intent was interpreted accurately. Powder coating procurement through a single source applicator for all elements of the façade, to guarantee colour continuity.